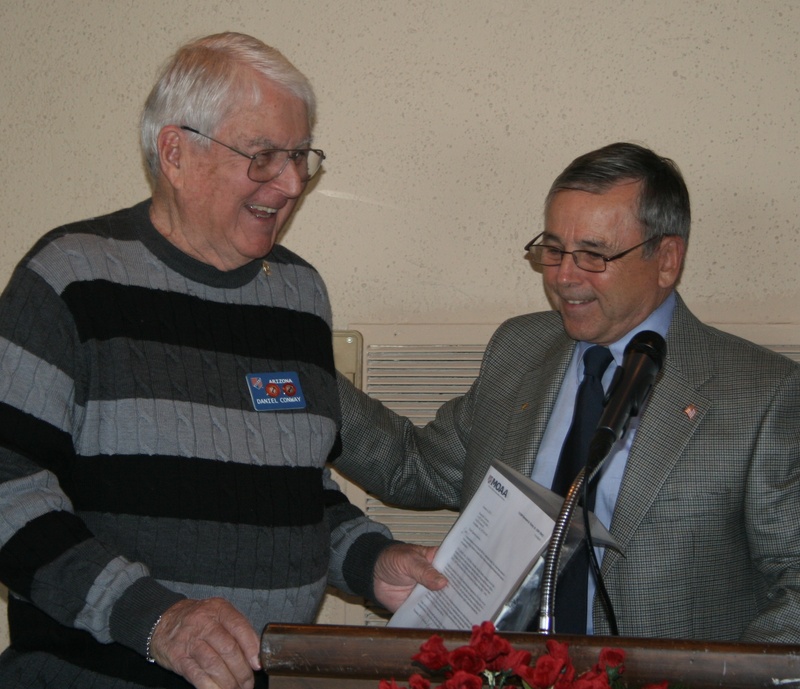 At our business luncheon held at McCormick Ranch Golf Club on 18 Feb 2012, Captain Dan Conway, USCG retired, was presented the National MOAA Leadership Award by Chapter President Colonel John Ady, USA retired. 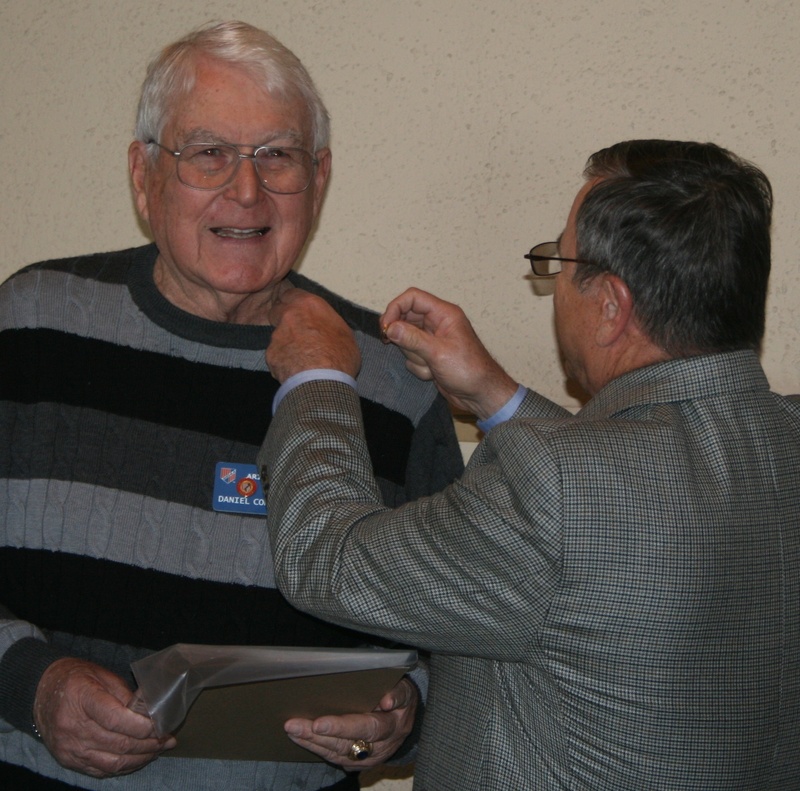 Captain Conway was recognized for his exceptional leadership at the chapter and the regional level while serving as the president of our chapter and previously as the president of the Arizona Council of Chapters. Click on award to read the citation.